Supplied new genuine Hyundai 11LK-30030 Motor Fan Bi Direction. This Hyundai 11LK-30030 Motor Fan Bi Direction is to suit Hyundai Wheel Loader HL770-9. 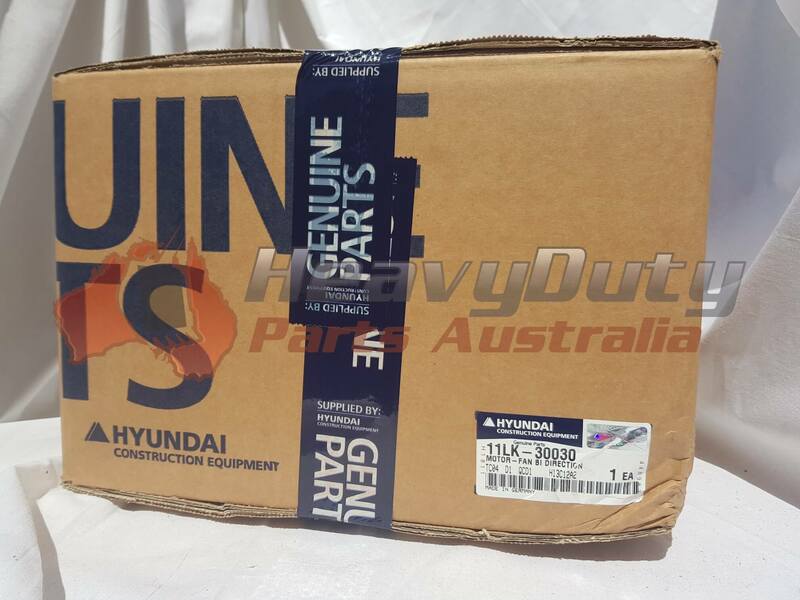 Heavy Duty Parts Australia can also supply the full range of Hyundai parts. We can also offer original, OEM and aftermarket parts at competitive prices.